This comes after CNN released a non-vetted report on president-elect Donald Trump suggesting that the Russian government was blackmailing him for financial and personal reasons. That report is now known to be fake, and was allegedly created by an ex-MI6 agent Christopher Steele, and then promoted by 4chan. This resulted in Trump blasting CNN as “Fake News,” and shutting down one of their reporters when he questioned Trump. “Your organization is terrible… No… I’m not going to give you a question. You are FAKE NEWS!” Trump said. Hold on, isn’t this the same CNN that has a habit of cutting its feed during confrontational interviews and blaming it on satellite issues? Isn’t this the same network that tried to pass its own cameraman off as an anti-Trump protester, in order to shape the narrative for Hillary Clinton? Isn’t this the same network that posted biased polls about Clinton? The same network whose analyst—Donna Brazile—became the interim DNC chairperson, and then gave debate questions to the Clinton campaign ahead of the debate? CNN’s credibility is also under high scrutiny by much of the public for its biased coverage and sensational reporting. Zucker feels differently though, and is living in a fantasy world. It has been eight months since Trump has done an interview with CNN, and Zucker still seemed convinced that the next president would give in to the network once he realizes its impact. However, it remains to be seen whether Trump will extend press access to CNN, or whether he will give more access to alternative media journalists and bloggers. 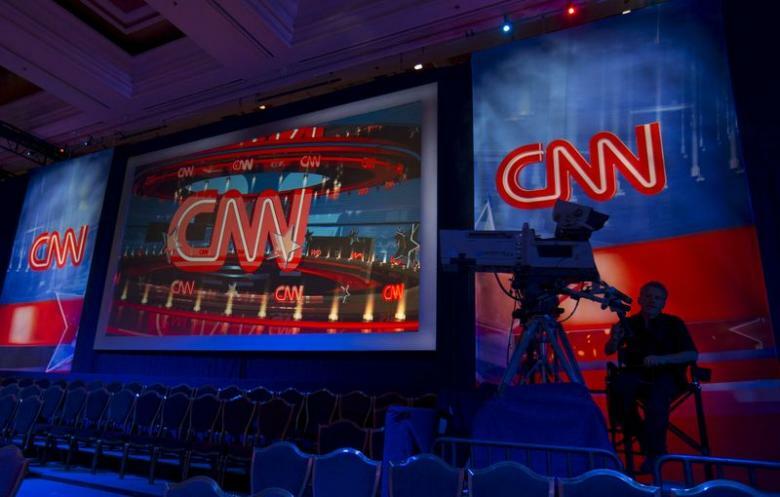 CNN was also named the “least trusted network among its viewers” earlier this month. According to a poll from Rasmussen Reports, when viewer were asked if they trust the political news they are getting from the mainstream media networks, 50 percent of Fox views, 43 percent of MSNBC viewers and just 33 percent of CNN viewers said they trust their political news.